My little guy loves craft time with his mama. But, I might love it just a little more. I love watching his creativity, his little mind at work, as he comes up with new ways of doing things. We have a sweet little set-up in my office, where he has a craft table beside my desk. On his table, he has a bin of art supplies that he’s allowed to use whenever (crayons, markers, and paper). He also has a drawer in my desk with supplies that he can use with permission (glue, scissors, etc). In addition to crafts, my little guy loves putting things together – doing puzzles, making pictures with foam shapes, and most especially, accessorizing Mr. and Mrs. Potato Head. So, when my sister suggested making a real Mr. 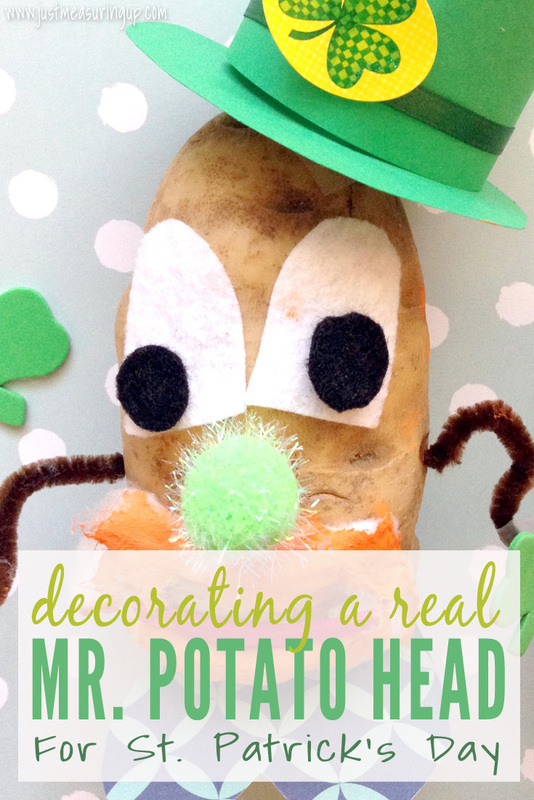 Potato Head craft as a St. Patrick’s Day activity, I knew he would love it! This was a no cost project – other than two potatoes, which we usually have. 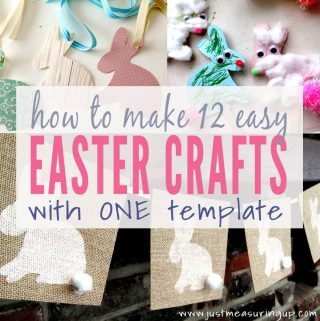 The night before, my son and I collected things from around the craft room to use, so we would be all ready to go after breakfast the following day. We found felt, foam, pipe cleaners, pom-poms, stickers, shamrocks, card stock, cotton balls, ribbon, and glue. 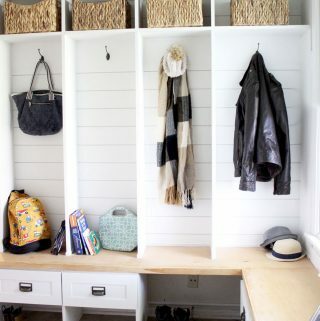 However, you can really use whatever you find or have. He loved putting everything together the day before because it gave him something to look forward to. ​He loves getting into all of my craft supplies, so his eyes were lighting up at all of the fun things he was going to get to use. Pictured below is the set-up. Whenever we have a messy project or a food project, I lay down a plastic table cloth, which makes for easy cleanup with a toddler. Then, we just had fun and got creative. My son told us what we needed – “Mommy, first we need eyes.” And, then I asked him what he thought we should use. We used the pipe cleaners for arms (the wire stuck right into the potato), cotton balls for the beard, pom-pom for the nose, felt for the eyes and mouth, and card stock for the shoes. We put everything on with either Elmer’s Glue or Scotch tape. 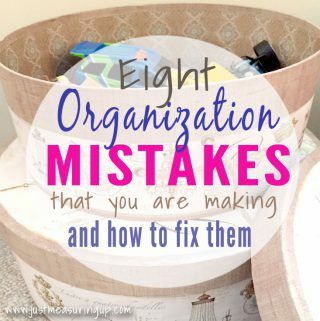 The felt on felt didn’t work too well with the glue – but everything else held up. 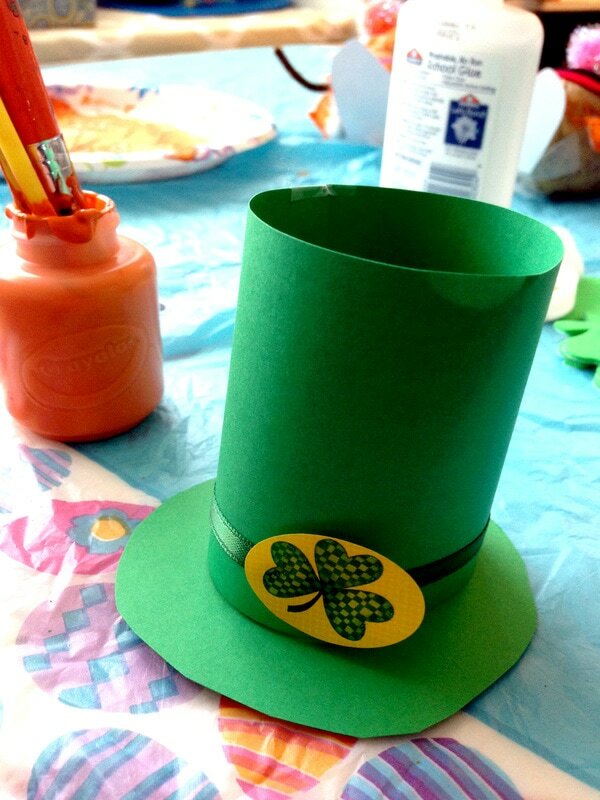 For the St. Patrick’s Day hat, I simply used card stock. I cut a circle for the best, and then I rolled another piece into a cylinder. I centered the cylinder on the base and taped it on top. Then, we decided to paint the cotton orange, in an effort to make our Mr. 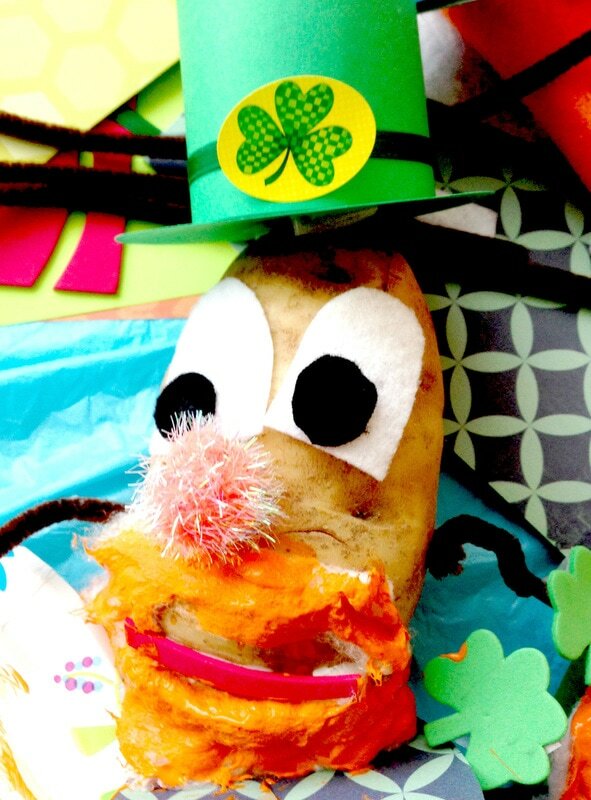 Potato Head craft look more like a leprechaun. It got pretty messy – and orange got all over Mr. Potato Head, but he definitely started to uphold his title as a leprechaun. So, we made a Mrs. Potato Head. We used all of the same things, and added a felt and pom-pom bow in her hair. And, I wished I had thought to get a smaller potato because that would have been cute to have a whole Mr. Potato Head family made from potatoes. ​After the potatoes dried, my little guy loved playing with them. I did have trouble getting the potatoes to stand up straight. I had wished I cut off the bottom to make a flat surface, but I’m sure this would have shortened their shelf life. Always a teacher, I also use our crafts as a segway to reading. During our library trip this week, we’ll be reading about St. Patrick’s Day and leprechauns, and the Mr. 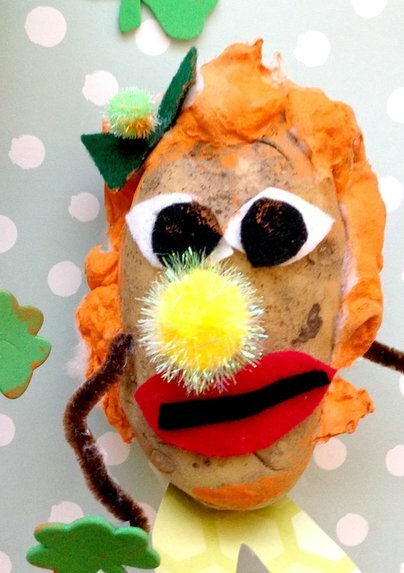 Potato Head craft served as pre-learning activity. 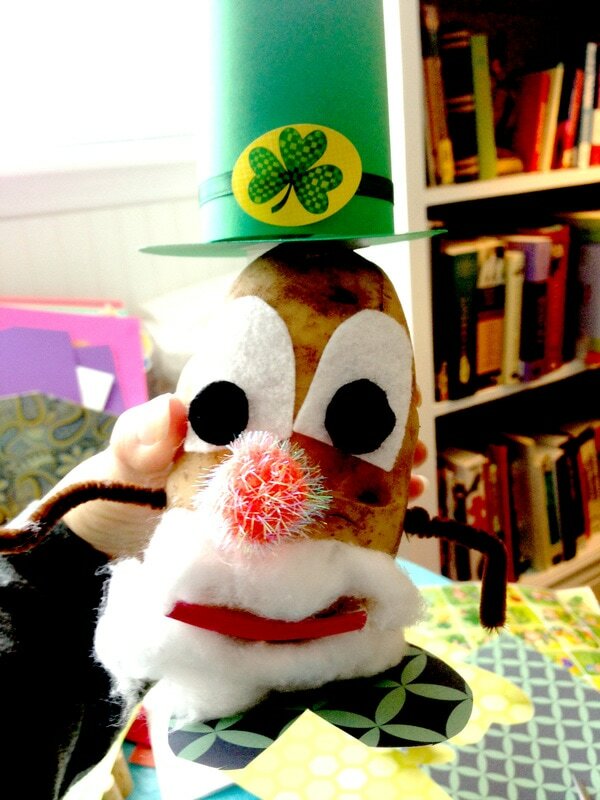 Overall, our Mr. Real Potato Head craft was definitely a success. 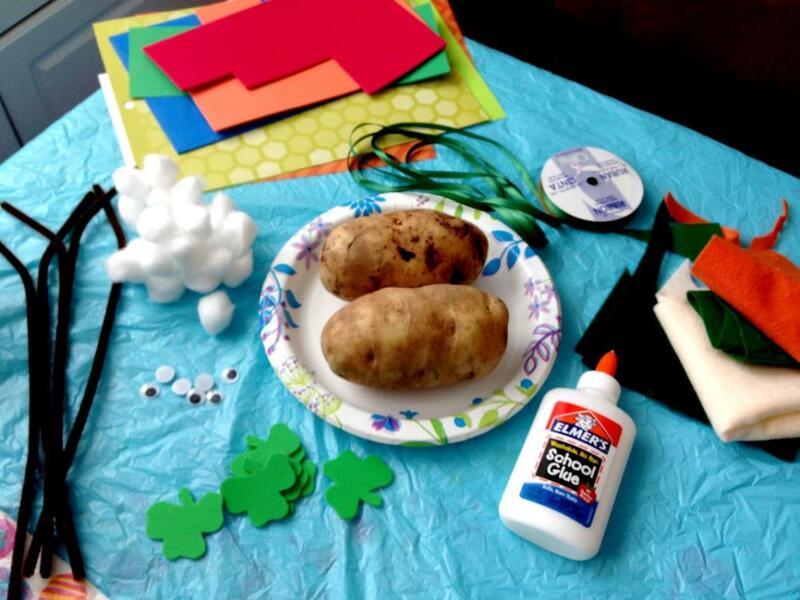 My son had a ball preparing for the craft, making REAL potato heads, and playing with his new, clumsy figures. It’s amazing to see the joy he gets from creating something he’s proud of. These look so fun. What a great idea you had! Stopping by from Tuesday Talk. XOXO That sounds like so much fun! How adorable and fun! Thanks for sharing at Snickerdoodle. Pinning to my St Patrick’s Day Board. 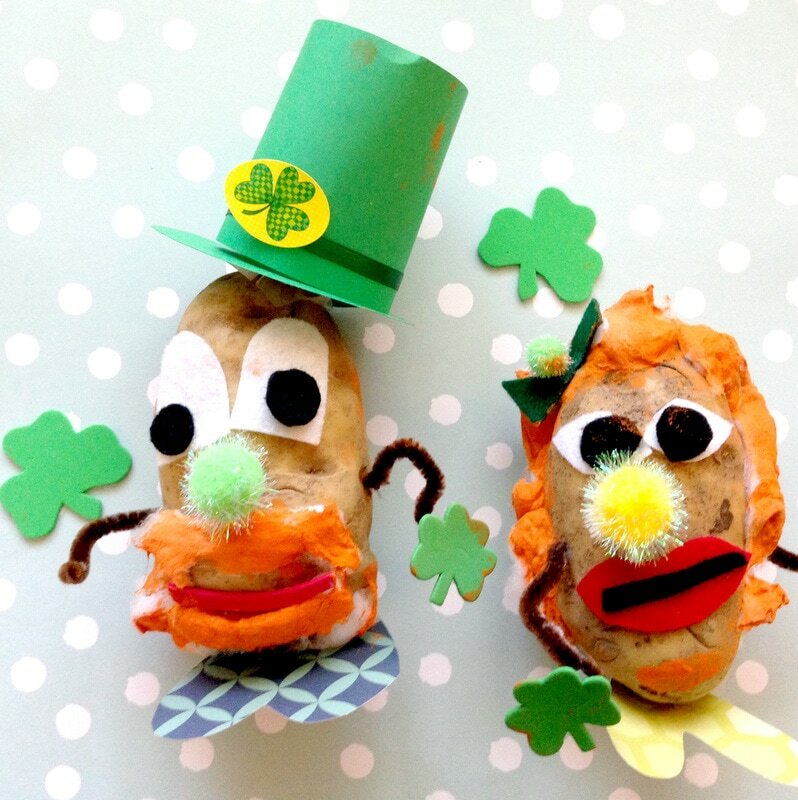 Adorable St. Patrick’s Day craft. Thank you so much for sharing at Vintage Charm. Thanks so much, Sharon! We had fun making “real” Mr. Potato Heads 🙂 Have a great week! This is such a sweet craft. Your son did a wonderful job! What a great idea.